Make a date with history as 2018 Britain celebrates a bevy of famous birthdays and anniversaries. Classical music lovers will be saluting the 350th birthday of Baroque composer Francois Couperin, the 200th birthday of Romantic era’s Claude Debussy and the centenary of American composer and conductor Leonard Bernstein (West Side Story, Candide), as well as that of his peerless choreographic collaborator, Jerome Robbins. Rock and pop fans will fete Ariana Grande and Miley Cyrus as they turn 25, Kylie Minogue, Bono, Will Smith and Shaggy at 50, Madonna at 60, and Mick Jagger, the grand old man of rock, who will be 75. We’ll be fondly remembering the late Prince and Michael Jackson; both would have turned 60 this year. Two hundred years ago, in 1818, young author Mary Shelley gave life to Frankenstein’s monster. Feel free to honour the occasion by re-reading her novel, taking part in Dorset’s Shelley-Frankenstein Festival, or seeing for yourself how the story’s been changed— just a titch— in Mel Brooks’ hilarious West End musical, Young Frankenstein. 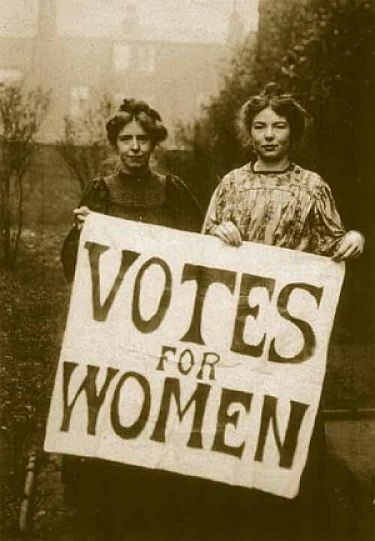 2018 also marks 100 years since women in Britain first gained the right to vote. Amongst many centenary events saluting Women’s Suffrage will be a major exhibition at the Houses of Parliament, a feminist film season at Barbican Cinema and Old Vic Theatre’s world premiere of Sylvia, a dance, hip-hop, soul and funk modern musical celebrating the life of Sylvia Pankhurst and her pivotal role in the passionate campaign for women’s rights. Last but by no means least, 1968—50 years ago— was a landmark year at the movies, release year for a feast of films now considered classics: Oliver, 2001: A Space Odyssey, the Odd Couple, Funny Girl, Yellow Submarine, Chitty-Chitty Bang-Bang and Rosemary’s Baby, to name a diverse handful. Expect no shortage of Golden Anniversary screenings, fan events and limited-edition merchandise for each. 2001: A Space Odyssey, will be particularly honoured. It was groundbreaking at the time and is still widely considered the best sci-fi movie ever made, with astonishing cinematography and music, Oscar-winning special effects and memorable back-talking computer, Hal. Diehard fans certainly won’t want to miss The Southbank Centre’s exciting anniversary screening in April with live orchestra. Whether you’ve lived in the UK for the proverbial donkey’s years, or arrived here more recently, you’ll be familiar with that national treasure known as the BBC, short for the British Broadcasting Corporation. Many of us enjoy or, let’s be honest, need a fix of our beloved Beeb on a daily basis, whether via television, radio, iPlayer or online. But there are many other ways to get upfront and personal with ‘Auntie Beeb’. One of the very best is to join a behind the scenes tour at the amazing BBC Media City in Manchester, or at one of many outstanding regional studios including BBC Bristol Centre, Birmingham’s The Mailbox, Newcastle’s Pink Palace and Pacific Quay in Glasgow, riverside headquarters of BBC Scotland. You’ll have the opportunity to walk in the footsteps of your favourite stars, visit backstage studios and have a go at making your own news or weather bulletins in interactive studios. 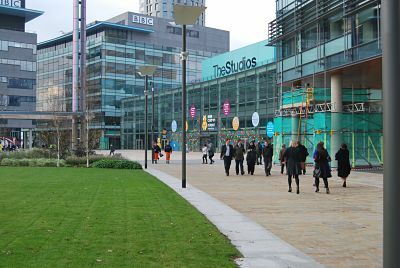 Media City is also home to Children’s BBC and has created a fab CBBC tour especially for young people. Tours are free or reasonably priced but very popular, so be sure to book well in advance. If you’ve always dreamed of seeing your favourite show filmed or broadcast live, why not sign up to the BBC’s online mailing list and apply for free tickets to dozens of popular TV and radio shows? Favourites include Strictly Come Dancing, the Now Show, the Dog Ate my Homework and Friday Night is Music Night, the world’s longest running live radio programme. Those with chutzpah may prefer to take part as contestants. If so, you can apply to pitch your wits or test your quizzability IQ in quiz shows Eggheads, Impossible, Mastermind and Only Connect or competitions like Who Dares Wins. Consider having your house renovated by the DIY SOS: Big Build team or your garden made over by the flowery folks at Garden Rescue. Bring your heirlooms and car boot bargains to the Antiques Roadshow. Or nominate your Mammy for Mrs Brown’s Mammy of the Week award. Article by Judith Schrut - email Judith at californianinlondon.dudaone.com.